Is Fear Holding You Back from Starting Your Business? For many people who want to start their own business, the hardest part is knowing exactly where to start. Especially when there is so much to do and so much contradictory advice. This often leads new business owners to waste vast amounts of time, energy and resources on the wrong activities. As a result, they often lose motivation and give up before their business gets started; without realising that their business could have succeeded, if only they had followed the right steps. In this post, I’m going to share with you what I believe to be the essential things you need before you start your business. I’ll also discuss where to focus your time, energy and resources. My aim is to bring those steps that are currently in your blind spot, clearly into view so you can start building your business the right way. There is the day you decide you want to start a business, then there is the day you decide to commit to and run your business like a business. You want to get to this second point as quickly as possible. Many people start their own business for independence and freedom, but treat it as a job and never get the results they desire. Here are some tips on how to make big decisions. You need to know exactly WHY you are starting your business, why it’s important to you and what you want it to do for you. It also helps to know who you are going to help and what impact you want to have. This is information, it will help you overcome your initial doubts and fears, it will keep you motivated even when times get tough, and it will help you connect with your tribe (supporters, mentors and clients). Here’s why your business journey needs to start with ‘Why’. When you start anything new, you don’t know if you are going to succeed or not, so you need a certain amount of faith in your ability to step out there and figure things out. Many people will tell you that you are mad or it can’t be done, so you need to have enough self-belief to put their helpful advice to one side, feel the fear and start your own business anyway. Here are some tips for building your confidence. Starting your own business is not an easy option. There will be days, sometimes weeks, when things don’t go according to plan, when people you trust let you down, and when you find yourself coming up against brick wall after brick wall. You will only get through these times and come out the other side stronger if you have a deep passion for what you do. You need to set yourself a clear goal so that you develop a plan to follow that will consistently take you in the right direction and avoid distraction. This goal needs to be big enough to stretch you (think way beyond what you know you can already do and achieve), but not so big that you dismiss it as impossible. That might sound obvious, but you need to know your business inside out and back to front. You’ll also need to know how to explain it to others. If you had your ideal customer or a potential investor in front of you right now, could you explain your business briefly in a way that will connect with them? You cannot spend too much time getting to know your clients and how your business helps them in a way they value. Don’t make assumptions here, do your homework and find out everything you can. Read this article to help you get started: How to Find Your First Clients. When starting your own business it’s essential to have a clear goal, as mentioned above. If you don’t know exactly where you are going, it’s going to take you a lot longer to get there (especially since you don’t know where ‘there‘ is!). Once you have your goal, you need to map out the steps to get there. Decide where you want to be with your business in five-years time, then think backwards to plan out the steps you need to take to get there and what you will need to learn and who you will need to connect with. This means working on your: positive attitude, focus on value creation, love of collaborating and connecting with others, confidence and ability to make decisions. Work on yourself a little bit every day and you’ll soon start to see failure and challenge as opportunities to spring-board your learning and growth. Don’t worry if this doesn’t describe you right now, few people are true entrepreneurs when they start out in their own business, but as they take action, learn and grow that’s what they become. No one succeeds in business alone, even if you are a solopreneur. Besides your potential clients, you will have to connect with and engage a wide range of people if you are to build a thriving business. Working on your people and leadership skills will help you no end. To help you get started, here’s how to build a strong network from scratch. Without clients, you don’t have a business. The only way to get clients is to be sure that the right people know your business exists and feel compelled to connect with you when the time is right for them. For this, you need to work on your communication and marketing skills. This area can be vast and you may want to outsource parts of it – such as your copywriting or social media management – but you will still need to have a good grasp of the basics. When you run a business, you will quickly find you have many demands on your time, which makes self-discipline and time management essential. This is where a LOT of entrepreneurs struggle. My advice here is to try out different time-management techniques to see which ones work best for you, get self-disciplined about being self-disciplined and create a daily planning system that works for you (or save time and use my planning system). Also, take some time to think ahead to how you will manage the many possible distractions that could crop up for you. 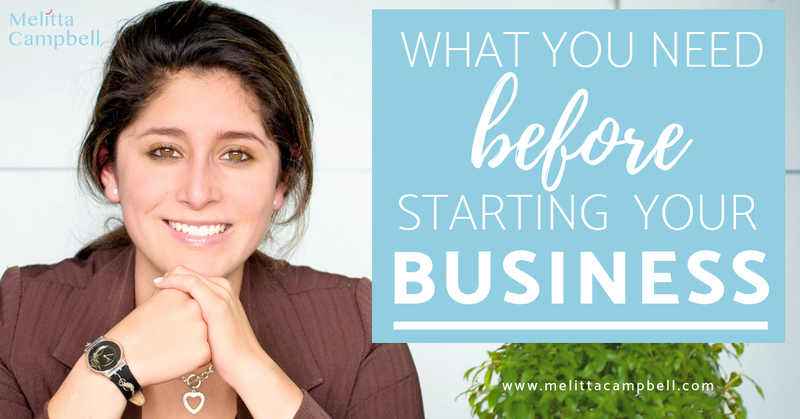 Starting your own business can be as daunting as it is exciting. But it doesn’t have to be. Using my experience gained over 25+ years in business, including a decade of entrepreneurship, I have created a 90-day program that will guide you through the core steps you need to take to build a business you love and win your first customers. You’ll come out of the program with your own personal blueprint for success. You will also have gained essential business, communication and marketing skills, feel more confident going into your new venture and have started to build your entrepreneurial mindset; setting you up for a lifetime of success. The 90-day program ‘Your Business Blueprint to Your Dream Clients‘ has been created especially for women starting out in their own business for the first time. It will save you a lot of time, money and mistakes as you will always know what is the right thing to do now and what your next steps are. It will be a lot more fun than figuring everything out on your own too! If you are ready to start your business faster, book your free Business Kickstart Call with me and let’s see how we can get your business off to the best start! And while you’re waiting, why not already participate in my FREE Fear to Freedom training. It will teach you the 5 steps to take to overcome doubt and start a business you love. Great guide Melitta! Super important as a lot of entrepreneurs get lost at the beginning. I’m just starting my business so will definitely save this list! Thank you for sharing! Thanks Jeni. I get lots of questions from women starting out in business for the first time who are feeling lost, confused and overwhelmed, so I’m so glad that you found it helpful. Feel free to join my online community for female entrepreneurs where I share lots of support, advice and guidance to help you start your business: Your Business Success Blueprint – Community for New Female Entrepreneurs. Thanks Anni, I’m delighted you found it helpful. This is a great post! I’m pinning this to save to my Entrepreneurs board. It’s definitely helpful for people just starting out and you include some great points that can sometimes be overlooked when starting a business. Thanks for sharing!